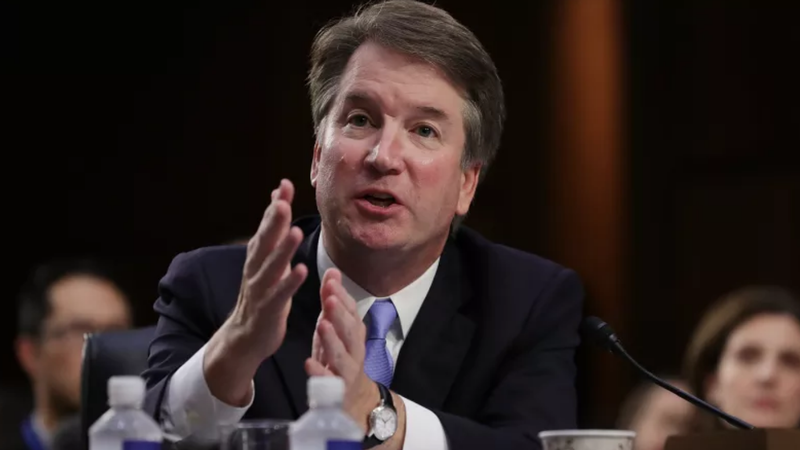 On Wednesday, USA Today reported that Supreme Court nominee Brett Kavanaugh fielded questions from Republican investigators as part of the Senate Judiciary Committee’s inquiry into two additional accusations of misconduct. Kavanaugh denied the allegations as he has with three prior assault or misconduct accusations made against him. These latest accusations were detailed in a transcript released Wednesday of Kavanaugh’s questioning on Tuesday. One of the accusations—which reportedly claims Kavanaugh assaulted a woman by shoving her against a wall in Washington D.C. in 1998—came in the form of a anonymous letter, which was sent to Republican Senator Cory Gardner of Colorado on September 22. The letter also reportedly said that at least four individuals witnessed the altercation, including the author’s daughter, NBC news reports. The other accusation reportedly comes from a Rhode Island man who claims Kavanaugh sexually assaulted an acquaintance of his in 1985. The man’s name is redacted in the transcript. The allegation was first called in over the phone to Democratic Senator Sheldon Whitehouse of Rhode Island. A transcript of the call shows that the man alleged the “acquaintance” was raped by two “heavily inebriated men she referred to at the time as Brett and Mark.” The caller says he learned of the alleged attack the following morning.